« Ever Heard of a Hebrew Priestess? Why do we need reconciliation between Muslims and Christians in the U.S.? What does reconciliation entail? Do we have enough common ground for reconciliation to be successful? What common ground do we have? The main message of the book “The Qur’an – with References to the Bible: A Contemporary Understanding”, serves as an enlightenment tool and also provides means for reconciliation between Muslims and the followers of other Abrahamic religions. It is unfortunate that tensions existing in the West since 9/11, are mainly driven by the fear of Muslims and their book, the Qur’an. The new translation presents more than 3,000 parallels in meaning between the two religious texts in a split-page format. The top of each page is the English translation of the Qur’an, and the bottom shows the analogous biblical verses which account for almost 40 percent of the book. The book is a project of Bridges to Common Ground, a nonprofit organization which aims to reduce anti-Muslim attitudes among Christians and prevents the radicalization of young Muslims, on the theory that knowledge of each other’s holy books will reveal common values. The book’s intent is not to convert readers from one faith into another, or merge the two religions into one; rather, it seeks to build bridges of understanding among people of the three Abrahamic faiths. The book offers a fresh insight on the “straight path” to reconciling with God and man; sorely needed and missing from other translations. Safi Kaskas lives in Jeddah, Saudi Arabia. He is an administrator in the managerial sciences with over 40 years of broad-based experience in strategic planning, leadership and business ethics with an emphasis on strategic management in the corporate and academic worlds. He is the Founder and President of Strategic Edge Management Consultants. 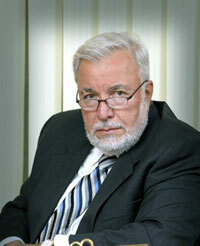 Mr. Kaskas helped many mid-level and large corporations successfully develop their business portfolios. His consultant firm focused on strategic development within the health care industry and founded the American Strategic Healthcare Management Company (ASHM) which owns diagnostic centers in Jeddah, Saudi Arabia. He is Senior Researcher in Islam and Multi-Faith Reconciliation at George Mason University, Center for World Religions, Diplomacy, and Conflict Resolution. Mr. Kaskas translated and published the Qur’an into simple easy to understand English in January 2015 and published The Qur’an with references to the Bible in January 2016. This book has 3000 references to the Old and the New Testaments. The Italian translation of The Qur’an with references to the Bible was completed in April 2016 and was presented to his holiness Pope Francis 1 during the same month. Is Forgiving My Enemy A Muslim Tradition? Can we afford not to have reconciliation? Can A New Qur’an Translation Promote Religious Harmony?